As the world continues to make progress on diversifying energy supply, France’s reliance on electricity produced from renewable sources will increase aiming to reach a complete transition towards a low-carbon society. Across the Country, the growth in the use of renewable energy for electricity generation is the result of a number of targeted, complementary policies adopted by the government as well as of the continuous efforts and initiatives driven by many energy industry players. 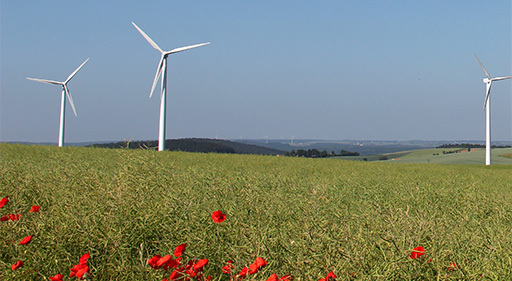 With more than 25 years of experience in developing high-quality renewable projects across Europe, RP Global is helping France to build a greener future through its growing portfolio of wind farms. To make sure power plants run smoothly reaching high level of availability, the leading Austrian company has entrusted BaxEnergy’s turnkey solution for monitoring, controlling and centralizing in one unique platform all the data coming from five different wind power plants, currently made up of 28 wind turbines, totalling an installed capacity of 77 MW. By providing its cutting-edge and cost-effective solution, BaxEnergy Team is already working to deploy Energy Studio Pro’s wide range of functionalities such as KPIs analysis, automated alarms, custom reports and many more that will allow power plants’ operators to harness full data potential. Additionally, to keep RP Global up with new unforeseen market challenges, BaxEnergy will also equip company’s personnel with the advanced asset management platform AssetStack, capable to streamline traditional business processes, to maximize power plants’ lifetime and to enhance team productivity as well as the sharing of experience across all the organization. “We are very delighted to start such promising collaboration with RP Global, one of the most important power producers of the renewable energy sector”, says Mr. Luciano Russo, BaxEnergy Commercial Director of Enterprise Business Unit, who adds: “Our goal is not merely deliver to our customer a comprehensive monitoring system solution, rather we aim to keep their power plants at highest level of efficiency, gathering and analysing large volume of data, detecting any performance gaps or potential ones with excellent responsiveness, because that is what makes the best return on our customer’s investment”.